Breathe in the benefits of lemongrass, melissa and rose to invigorate the body and soul. 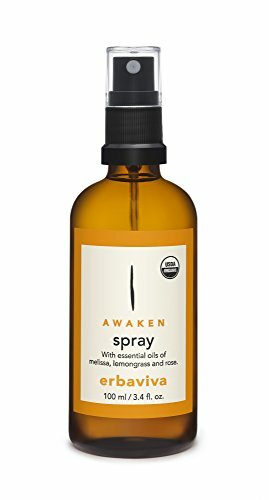 A rejuvenating and beautifully-scented aromatherapy experience, this spray enlivens your whole being and makes for the perfect pick me up at work, at home or on the go. Breathe in the benefits of lemongrass, melissa and rose to invigorate the body and soul. Providing an aromatherapy spa holiday for the senses. Essential oils easily disperse without the need of a diffuser. If you have any questions about this product by Erbaviva, contact us by completing and submitting the form below. If you are looking for a specif part number, please include it with your message.